Since the last update: I’ve released a 700 page anthology, in collaboration with two dozen writers from around the world; Undad got another nomination in some local publishing awards; and I’ve attended a decent handful of comic/literary events, and sold books to a range of awesome people. This book was a staggering amount of work. I look back on it, and I have no idea how it all came together so quickly. We announced the final list of writers on May 1, and the book came out in early December. In that time (roughly seven months), I edited two dozen stories, wrote one of my own, managed payments and deadlines, formatted the manuscript, produced some four hundred pages of artwork, and ran a Kickstarter launch campaign. Working on this book was a tremendous experience. I learned a tonne about editing and writing from my two dozen collaborators, and I’m super proud of how the book turned out. The Lesser Evil and Peaceful Tomorrows are (or soon will be) out of print, as my Canadian publisher Zetabella undergoes a significant rebranding. I had a choice: re-release them myself, or let them go gently into that good night. If not for All The King’s Men, which builds upon the universe introduced in TLE/PT, I probably would have opted for the latter option. Instead, I decided to take the opportunity to remaster these books, to fix some of the minor art/narrative issues that niggle me about these books, and put them out under the Deeper Meanings umbrella. While it does mean that all my books are now self-published, and in some distressing ways, this represents a substantial setback in my own perceptions of my career, it’s good to have them all available together, and reassuring to have all the rights back in my pocket. It might also be possible for these books to have another go around come the awards season (I’d need to check the rules about this). No news about The Game this time around. Nothing to announce about this book, but in related news, it’s a big thrill to see Tim Irving (aka James Flamestar) making music again. I’m a proud backer of his on Patreon, and am looking forward to more of his awesome tunes. After the last update went out, Undad got a nod in the ACT Writing and Publishing Awards. While this is a regional award, without the same scope as the Aurealis Awards or Shadows Awards, I’m still very proud of this one, because Undad was considered and commended not in a separate category for comics, but instead in a more expansive ‘fiction’ category. Even though I always intended to end the series with Volume Two, a concept has been floating around my mind for the last few weeks that I’m unable to ignore. Imagine, if you will, an anthology of stories written by other people, set in the Undad universe. Funding will be difficult to land, as will forgiveness from the people to whom I promised the series was done, so this project is on the backburner for a while. Still thinking about it, though. Back on the active projects list, Triumviratus has been revived. I’m keeping a running monthly tally of my progress on my monthly mailing list. It feels good to be pushing this project slowly towards the finish line. Until I get distracted by the next major project, I’ll be plugging away at this. The book is completely written, and the artwork is around 53% complete (around 270 of 515 pages). For Christmas last year, Katie bought me access to the Aaron Sorkin Masterclass. While the class itself was highly engaging and interesting, there wasn’t much in terms of new information (though there was some) for someone who’s gone through a Creative Writing Degree. The primary benefit of this course was – as I’d hoped for – motivation to write some TV scripts, and this goal was achieved. I’m currently muscling my way through a couple of spec scripts, and am tossing around a few more ideas that might be best suited to a screenplay/teleplay. It’s good to feel like I’ve got this option in my arsenal again anyway, even if career prospects are devastatingly thin on the ground for people who don’t actually live in California. Messar Dreams/Line in the Sand: No progress on this project. I used the prototypes as part of an application to a vacant Senior Writer position at Telltale Games, but sadly didn’t land the job. It’s hard to know whether this was because of my writing, or because I am a family man and therefore unlikely to be able to contribute to crunch schedules in the way they might need from time-to-time. Well, it’s been another big year. Here’s to a huge 2017. 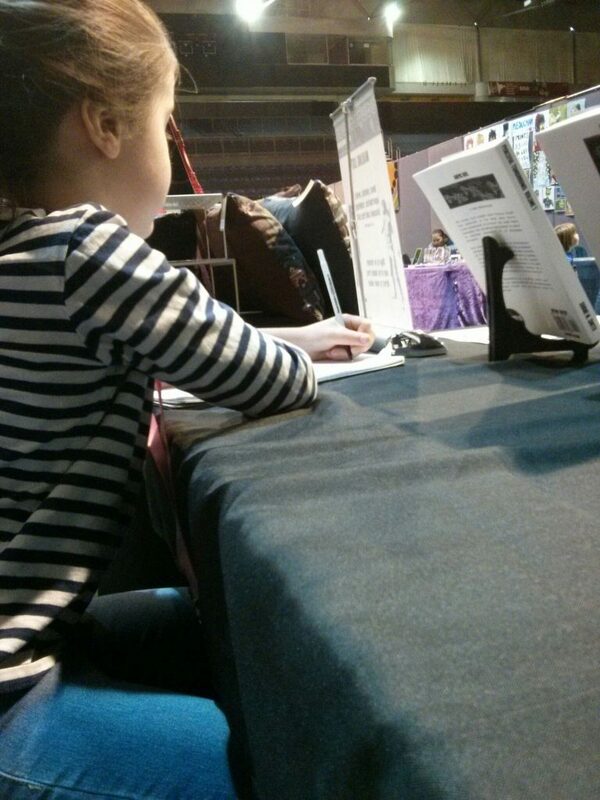 GAMMA.CON on Saturday 17th September 2016 marked my six-year-old daughter Annie’s first major convention experience, and she spent the entire day at my artist alley table with me, helping calculate change, and recording all of her experiences in a stream-of-consciousness fashion. I present it here – entirely unedited – in all its glory. Today I am helping Daddy. So far we have already taken a walk to look at things. 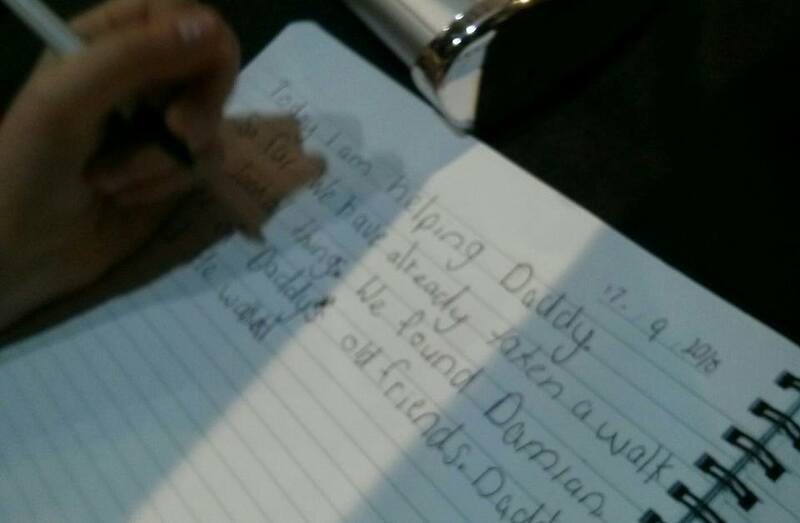 We found Damian, one of Daddy’s old friends. Daddy said he walked with a Stormtrooper outfit on. We also saw a very neat and pretty store with books in it. The store had bookshelfs to put all the books they wrote on. Some people like Exibiters and Instruters have come to read them and volunteers, presenters. One person is on the mailing list. It’s very noisy, and there are lots of people here. Our stand is also near a café. Daddy will be on the raidio. We’ve sold 8 books. We sold 8 books by 11 o’clock. I am so excited. I want to stay for the whole day. We have some people looking right now. I might get to come tomorrow. So far we’ve got hundred dollars! I get to choose when I eat. 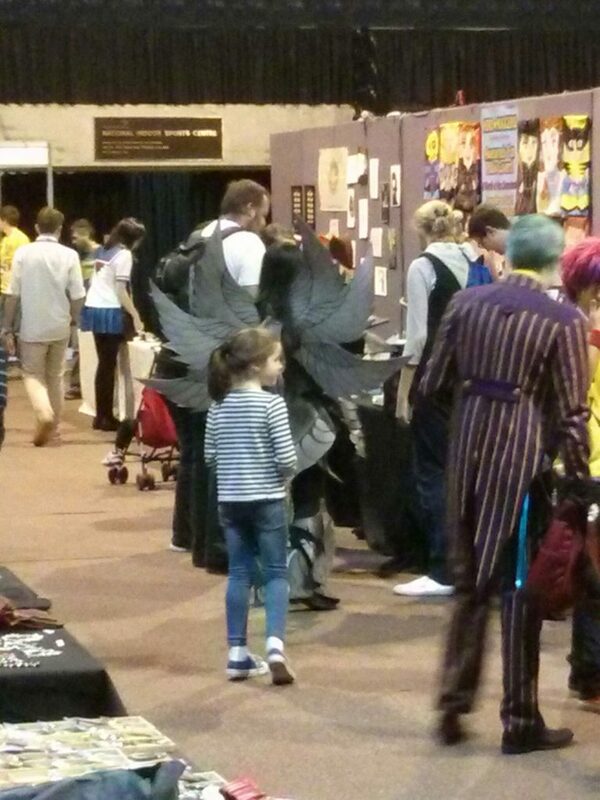 There are lots of cool costumes. Daddy taught me about change. We had someone say they might pick a book up before they go. There is a stage behind us so it’s really noisy. We’re next to a pillow store. I just saw a baby that had little Goldilocks hair. We’re also near a poster store. I had a little walk around and saw that the Mum that had the baby was the owner of a store that had the little Goldilocks hairs and she kept trying them on. I just got a peak of the stage and it looked like Spicks and Specks. Dad says I can be in charge of change. By 12.42 we got $150! By 12.44 we got $170! I saw some glow in the dark watches for $19 each. We get 2 chocolate sultunas each time we get a customer. We keep calling Mum. Selling books is hard and tiring. My plan is to bring Mum and give her a tour, then nag her for the watch and send her home and stay here. By 2.35 we’d got $220! Dad has a money thing. By 2.52 we’ve got $240! By 3.40 we got $350 and sold 28 books at 4.20! At the end I felt tired because I stayed with Daddy and book selling is exhauhting. Annie explores GAMMA.CON (but stays where I can see her). Somehow, this annual April update skipped a year. It’s April 2016? Really? Are we sure about this? When I wrote the last April update, our third child hadn’t yet been born. Nella Walsh-Smith burst into our lives on her due date, and has proceeded to dazzle us on many occasions with her unquenchable thirst for adventure, her indomitable love of life, and her blonde, blonde, blonde head of hair. And just two months ago, Molly Walsh-Smith made her debut in the world, and is currently setting records for being the world’s easiest baby. Damn, jinxed it. Annie is in Year One, and will own the world right on schedule. Liam is getting his first tastes of preschool this year, and it’s an experience that seems to have two speeds: awesome and traumatic. Nella is a big sister for the first time, and loves it. And every single one of these kids has a different relationship with every single other one. Keeping track of it is an amazingly rewarding challenge. In addition to raising the children full-time, Katie is heavily involved in the school councils, and is president of a local women’s group. Busy seems to be a meaningless word when you’ve got a family this size, but it’s still a word that I think applies to her schedule quite well. Me? I’m at the tail end of two and a half months off from work to celebrate Molly’s birth and reconnect with the family. It’s been pretty great. And I’m still writing (more on that in a moment). 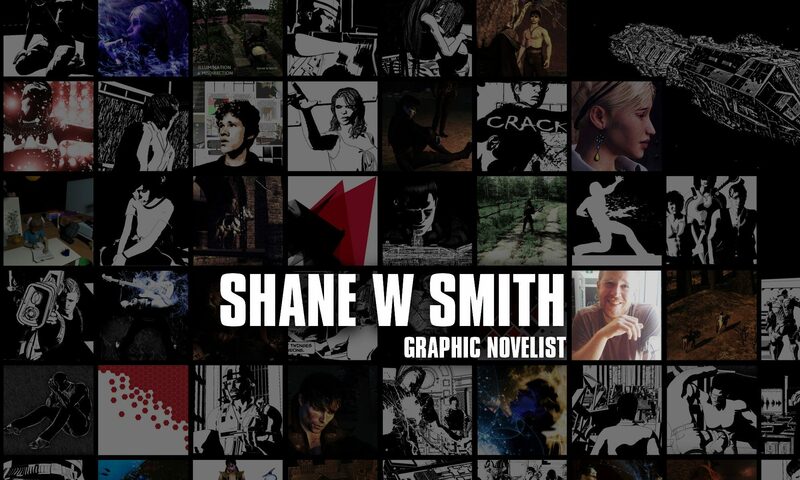 Since the last update, I’ve run three Kickstarter campaigns, released four new books, and entered into creative collaborations with something like thirty other people. Two more of my books have been shortlisted for awards. 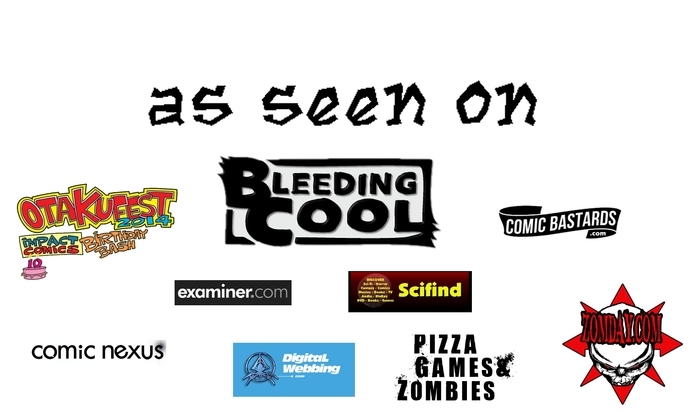 I’ve attended a decent handful of comic/literary events, and sold books to a range of awesome people. More often than not, The Lesser Evil is still my best-selling book at conventions. Beyond that nugget of information, there’s not much news to impart. Peaceful Tomorrows 2 did not win an Aurealis Award in 2014, but I’m still thrilled to have had it on that list of finalists, alongside juggernaut names like Tom Taylor. 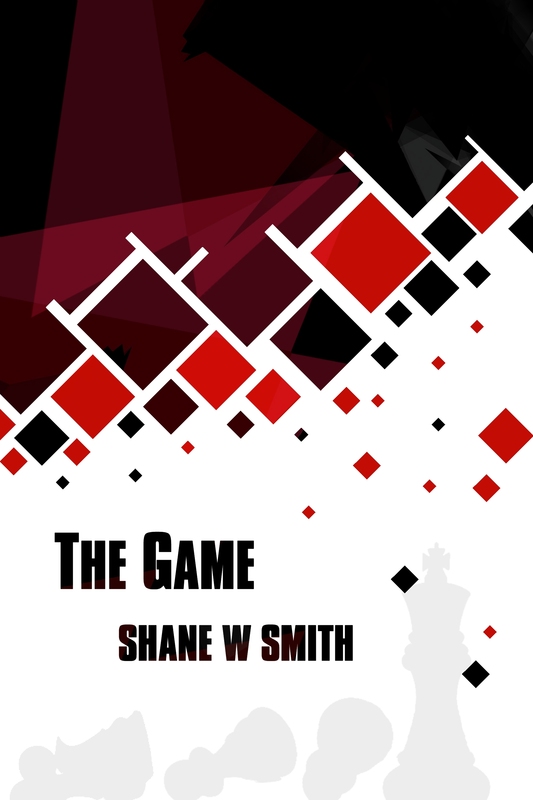 The Game ended up being the inaugural title of Deeper Meanings Publishing, and was shortlisted for an Aurealis Award. It didn’t win (losing out to Tim Molloy), but again: honour to be nominated. For the second year running, I attended the ceremony, which was here in Canberra. Here’s me in the corner with my lovely wife, anxious as all-get-out and being as anti-social as humanly possible. James Flamestar finally got a proper release, also through Deeper Meanings. It’s my go-to title when punters need an age-appropriate title, and I’m thrilled to include it among my list of books. It doesn’t get the critical nod, the accolades, or the fan response that my other books get, and there are things I’d like to change about it, but overall, I think it’s on par with my other titles. The Kickstarter campaign for All The King’s Men fell a long way short of meeting its target. Since then, I’ve blogged extensively about what this project taught me. For a while, this project was shelved. It wasn’t going to get up without money, and I didn’t think a second campaign would raise what I needed. The entire project needed a bit of a rethink. At some point, I decided to be the only artist in the book – at first this was a money saving measure, but the more I thought about it, the more it made sense. This is my first time at bat editing a project like this – if I stuff up, I’ll probably inconvenience the artist more than anyone else. If I’m the artist, I’m the one who bears the brunt of the last-minute rewrite. I can live with this. In late 2015, I applied for a grant through ArtsACT to revive the project, and it was accepted. I was quite frankly stunned by this thrilling outcome. I now had $7,500 to make this book a reality. People came from far and wide to investigate an opportunity to be paid for their writing. The anthology website received around 22,000 hits in six months, with an estimated 6,000 unique visitors. For someone at my level, those are big numbers. Lots of eyeballs. Plenty of people know my name now. Submissions for the anthology closed on 31 March 2016, and in all, I received 175 pitches for the book. Sorting through those pitches to select just two dozen to work with was a daunting task, but immensely rewarding too. Next step: making the book. It’s going to be an awesome ride. To this day, I have no idea where the idea for Undad came from. I can find the public forum where I first discussed the idea, but it’s one that popped into my head fully-formed. The elevator pitch for the story has barely changed since the day of its conception. That’s a particularly unusual first for one of my books. It came together quickly. I used what I’d learned from my failed Kickstarter campaign to produce a campaign for Undad that was so successful, we ended up getting two additional issues made with the money raised. We bypassed the issue stage and released a trade paperback. I thought that this was the end of it. Then I noticed, totally by chance, that a grant opportunity was closing in a couple of days. This was the MATCH program, administered by Creative Partnerships Australia. Fresh off the success of the first Undad campaign, I knew I wanted to run another one at some point, but I didn’t have any particular ideas. Undad Season Two was born in a rough skeletal form out of this opportunity. Not a particularly inspirational genesis, I’ll admit, but I contend that everything about the entire Undad endeavour came together so seamlessly that it was meant to happen this way. Undad and Undad Season Two were both released in 2015, and quickly became a table favourite at conventions. The ten-second-sell almost always gets a laugh, and people really seem to dig the family-drama-zombie-horror genre that I’m on the fringes of here. Undad was also shortlisted in the Australian Shadows Awards for best graphic novel. It didn’t win, but I’m thrilled it got some recognition. I’m really proud of this book. Around the time I played Telltale’s The Walking Dead for the first time, I decided that I’d like to try my hand at writing a video game one day. A branching story that allowed players to choose their destiny. From this ambition and a single dangling thread in The Lesser Evil, the Messar Dreams project (later renamed) was born. An early prototype got a decent response from players, and I ran a tumblr briefly that covered the period of its development. I applied for a Screen Australia grant to fund its production, but alas: the application was not approved. It’s a little too early to know what’ll become of this project. Suffice to say that I’ve put a lot of effort into planning it and designing it. I’ll need to train myself up in Unity to get it made properly, but I’m keen. I think it’ll be a blast, if I can carve some time out of my creative schedule once All The King’s Men is complete. Triumviratus: haven’t touched it in almost two years. I notice that I called this my level-up potential two years ago. Not sure what that says about my prospects. I’d still like to revisit this one day. It’d be cool to have some epic fantasy on my table. The Tube: coming up on four years abandoned. Might be time to officially pronounce this one. It’s hard to summarise two years in a way that truly captures how fulfilling this is. I’m so absorbed in each project, each event as it happens, that I can scarcely believe that all this can take place in just two short years. It has been yet another massive couple of years, that’s for sure. And things are only going to get busier from here. Last year, Peaceful Tomorrows (Vol 2) was shortlisted in the Best Graphic Novel category of the 2013 Aurealis Awards. To have been nominated was a profound and exciting experience for me, and even though it didn’t win in the end, I was still extremely proud to have my book selected as one of the year’s best. Lightning has struck twice, because the follow-up to Peaceful Tomorrows, entitled The Game, has been shortlisted in the same category for the 2014 Aurealis Awards. I’m thrilled and honoured to have had consecutive books shortlisted. It means that I’m on a good path, the trajectory I want to be on. And it’s good news for Deeper Meanings Publishing, too. The Game was their first book; it’s a great start to what will hopefully become a well-respected and successful publishing company. 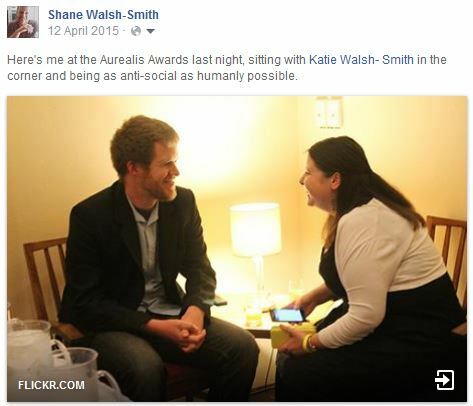 The Aurealis Award ceremony will take place on April 11, here in my hometown of Canberra. Tickets are available until then, but early bird prices ($40 pp) are only available for another week. My heartiest congratulations to all finalists in all categories. Here’s a list of them. Congratulations once again to all the nominees! And here’s hoping that this year I get to try out the acceptance speech I prepared for last year’s awards. It starts out with a pun… and then it’s all downhill from there. Earlier this week, my Kickstarter campaign Undad ended, raising more than $5300, which is 40% more than its funding goal of $3750. In this post, I’ll attempt to break down some of the numbers, using charts and data from a number of sources (including calculations of my own), and show where the money came from. This piece will appeal to those among you with a fetish for statistics. 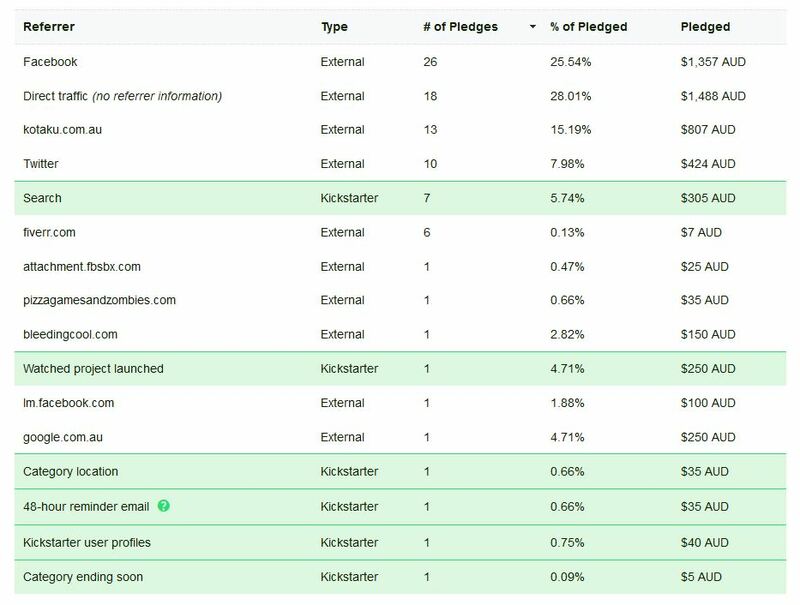 It’s not much of a secret that the majority of Kickstarter backers for small projects are the friends and family of the creator. It’s not something that Kickstarter advertises, but it’s definitely a known thing. This was particularly the case with Undad, with only 8.2% of pledged money coming from people that I did not know personally. Therefore, when analysing any of the data in this document, it’s important to remember that this was (despite my efforts to attract a larger audience) a project that was almost entirely Friendfunded. 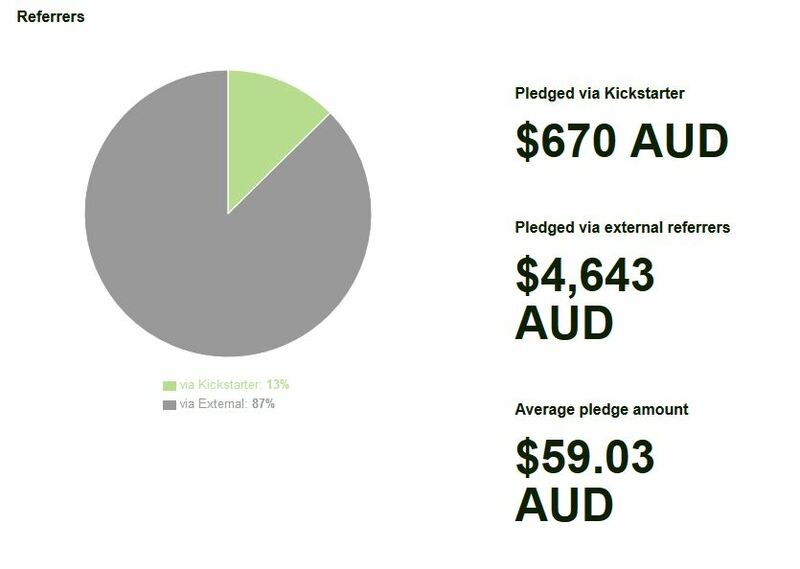 It’s therefore not particularly surprising, then, that most of the pledges were not referred by Kickstarter. Breaking these down in a little more detail, it’s plain to see that Facebook and kotaku.com.au (a site where I interact directly with a large proportion of my friendship base) were tremendously lucrative, in terms of Undad funding. 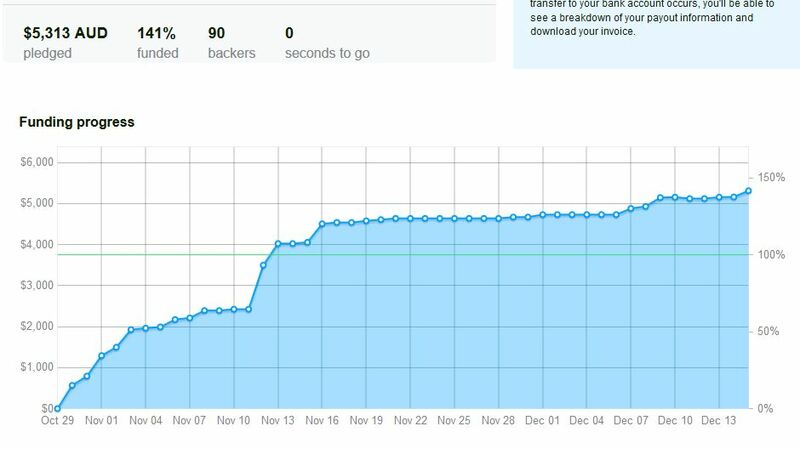 See that two-day $1000+ spike at around 11 November that pushed Undad over its goal? That’s when I approached friends directly using Facebook PMs. Although it’s true that I have a particularly awesome collection of friends, there is something undeniably powerful about approaching people one-on-one and asking for money. Makes me wonder just how well the cold approach of those charity workers and/or boozehounds in city centres must work. There was a further slight lift towards the end there, when I announced that the stretch goals would be going ahead, and people could upgrade their pledge by a minimal amount to effectively double the amount of content they would be receiving. This had a very high take-up rate. Views are a hard thing to quantify. Kickstarter doesn’t have any direct stats available to contributors that tell us how often our campaign page was visited. What they do have is a record of the number of project video views. Undad was seen or featured in a number of places during the campaign. But as I’ve already demonstrated, the vast majority of pledges came from people I already know. So the primary benefit of all this promotion is, at best, one of exposure, and attempting to quantify views is therefore ultimately pointless. Suffice to say that (assuming the project itself was of sufficient quality to otherwise attract backers, which might be a long bow to draw) Undad failed to achieve the threshold of views, or the right kind of views, for it to achieve success on its own. There seems to be a growing fatigue towards Kickstarter projects, particularly in light of recent very public failures of high-profile projects. Kickstarter did amend their ToU for creators in October 2014, but it might be a case of too-little-too-late for those folks who are hoping to use Kickstarter’s name to attract a wider following, because fewer people are browsing crowdfunding sites for fun than there were a couple of years ago. You bring your own audience with you, or you fall. The articles, the tweets, the shares… you might be lucky enough to get some traction, but you shouldn’t be banking on viral success. In that respect, I certainly wasn’t one of the lucky ones this time around. Undad was a successful project, and raised a lot more than I thought it would. Its success is almost entirely due to a strong support network of friends and family. This qualifier is a double-edged sword, for while it speaks volumes about the generosity and enthusiasm of the people surrounding me, it also means that despite my best efforts, I have largely failed to engage a new audience with my work, an ongoing issue with my writing career that I have been struggling with for quite some time. Still, Undad will be made and published, and added to my growing list of titles. And that can only be good news. A few months ago, I put together a brief analysis of my major creative works, focusing on the way they reflected what was going on in my life at the time. Since then, Undad has appeared rather suddenly on the scene, and I would be remiss if I didn’t try to understand why, even with so many other projects on the go, I feel compelled to see this one through. 2014 was not a good year for me. The depression with which I had been struggling on and off for several years was amplified significantly by a series of writing-related setbacks and a sudden significant increase in workload caused by the arrival of my third child. My ongoing wrestle with depression is something that, for whatever reason, I am really struggling to share with friends and family. I don’t want to burden them, I don’t want to risk rejection, I don’t even want to face whatever it is lurking inside me, whatever it is… reaching out for help is beyond me at the moment. It’s almost exactly what Brett Buckley is going through. For the last eight months or so, I have been wrestling with a depression that manifested itself as despondency, helplessness and frustrated outbursts. A depression severe enough to tank my motivation to write, alienate me from my kids, and threaten my marriage. In a very real sense, I felt there was a monster inside me, taking me over, making me do things that I ordinarily would never do. Undad channels this feeling in a strong way. Brett Buckley has unexpectedly turned undead, and finds himself drawn inexorably to the consumption of life, despite deeply held vegetarian beliefs. He is so disgusted by his weakness, so repulsed by his monster, that he finds himself unable to unburden himself to family. Undad is the first project I have attempted since my decline, and delves deeply into my experiences of depression to present the zombie genre in an entirely new way. Brett’s condition (he’s dead inside, haha #clevermetaphor(notreally)) has created this rift between the man he is and the man he wants to be, and is driving a deep wedge between himself and his family. He tries to distance himself from them, to protect them from himself, but that obviously is a path doomed to failure, because in his heart, he doesn’t actually want to lose them. He seeks solace and answers in medicine, psychiatry and religion, but they all lead to dead ends. In the end, Brett will realise that there is no one out in the world that can help him. He will have no choice but to seek remedy and redemption at home. He fears they will flee from the monster he has become, that they will despise his weakness. This is what rock-bottom feels like. The Undad Kickstarter campaign is live now, and runs until December 15. 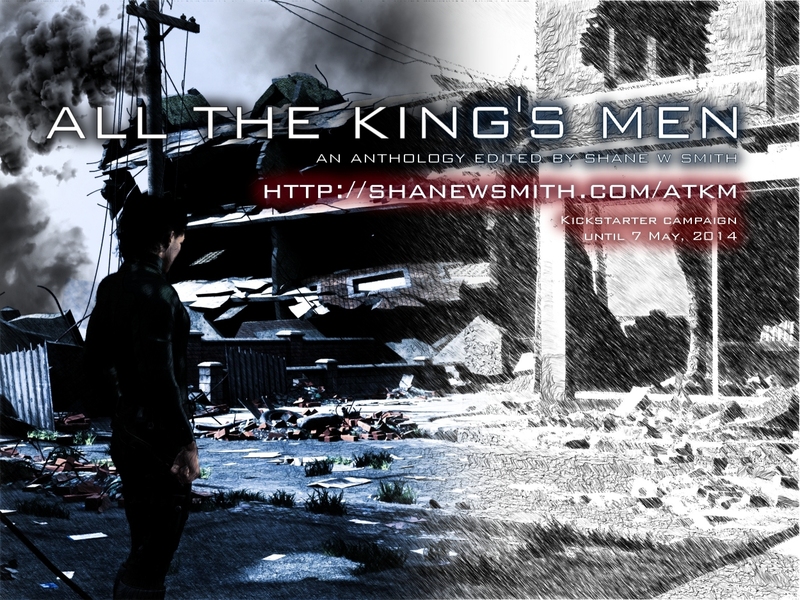 In April/May of this year [this post was written in October 2014], I ran a Kickstarter campaign for a science fiction anthology entitled All The King’s Men. The project aimed to source artwork and writing from creative professionals around the world, and pay them fairly for their work. It had an ambitious goal of $11,000. It failed, raising just 40% of its funding target. In recent months, I’ve started putting together a second Kickstarter campaign, this time for a smaller project entitled Undad. And in the process, I’ve had to take a good hard look at what went wrong last time, and what I can do to mitigate the risk of history repeating itself. Here’s a list of the eleven biggest mistakes I know I made with my previous campaign. While this article is tailored to my individual project, there’s bound to be some useful lessons here for all future project managers. 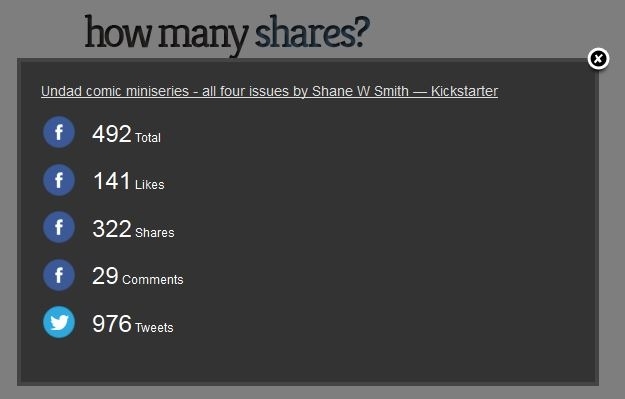 This is the biggest issue facing all Kickstarter projects. The majority of projects will not succeed unless the project manager can attract an audience outside of their friends and family. That usually means marketing, self-promotion, an investment of time and money. In the end, my All The King’s Men campaign was only viewed by around 327 people in the month it was live. Not enough for it to succeed, even with a stellar conversion rate. The reasons for this are myriad, and will be explored in greater detail in some of the points below. My All The King’s Men marketing campaign was poorly planned. I’d caused a bit of a stir with the preliminary research I did, and figured that with just a few posts on Twitter and Facebook, that would be enough to help the project go viral. However, aside from the loyal social media boosts I received from stalwart friends, All The King’s Men failed to catch on. A rapid-fire reactionary press release submitted to a half dozen comics news sites got me an opportunity to write a post for Bleeding Cool, but beyond that, I was ill-prepared, and didn’t really get much of an audience beyond my social networks. When it came time to prepare the Undad campaign, I prepared a much more extensive plan of attack. A much more thoroughly polished press release (developed in collaboration with some PR professionals), along with a significantly broader spread of outlets to send it to. Several appearances, articles and interviews on various blogs and websites. And a Google Adwords account, and a Twitter ad account to round things out. I’ve also planned a handful of blog entries for this site to aid with the visibility of the campaign. All The King’s Men was still just a concept when I put it up on Kickstarter. I didn’t even have a potential creative team assembled until halfway through the campaign (this was ultimately an incredibly bad idea, and something I should have had sorted at launch. I think that this, more than any other example of my unpreparedness, is what cost me). All I had was a single short story which would be going at the start of the anthology… and I couldn’t even share that with backers, because I’d made that story the reward for $10 pledges. In short, I had nothing to share with backers to whet their appetites or ease their apprehension, no evidence that the book would be worth reading. I wouldn’t have pledged money to this campaign. For Undad, I’ve approached things entirely differently. By the time the project launched, I had already signed two artists to Undad, and commissioned no less than ten sample pieces of artwork. It required a significant upfront investment to secure all this artwork, but I think it will be worth the cost. In addition, I had already prepared the entire first issue and made it available to read for free. Even for a project that is not yet complete, there is an abundance of content for backers to peruse before they make their decision. Because All The King’s Men was still in the conceptual stage, it was still considerably more than a year from release. That’s okay if you’re making a game or a technically complex piece of machinery, but it’s less acceptable when you’re trying to fund a book. No one wanted to invest their money and then wait eighteen months for a book – when was the last time you pre-ordered a novel eighteen months in advance? Even though issue 2 of Undad hasn’t yet been completed, I was determined to cut the wait time down as much as humanly possible. I’m aware that the estimated five months wait for Issue 2 is likely to be a liability; however, it’s still a big improvement over All The King’s Men. And I’ll be distributing as many of the rewards to backers as early as possible, hopefully well ahead of the May 2015 deadline. One thing I noticed in recent months was that I’d be much more likely to back a campaign if there was a low-cost low-risk option to get the content digitally. Five dollars was the ideal price point, but I could occasionally be persuaded to go as high as ten if the product was obviously high quality. But in the All The King’s Men campaign, all you got for ten dollars was a single story from the anthology. The cost of the digital book was locked in at $25, and $35 for a paperback copy, both of which are significantly higher than anyone would have to pay for them in the shops. In short, it was a very poorly thought out strategy, and was more a knee-jerk response to the high targeting goal than it was the result of careful and measured thinking. For Undad, I’ve made sure to include those lower-cost tiers for casually interested backers, including the option to get both issues of the comic for a single pledge of $5, and I’ve made sure that, all the way along, backers are getting a discount off the RRP of the books and other rewards. Eleven thousand dollars is a lot of money to raise. I knew that much going in; it was an ambitious target, and probably too ambitious for a first project. Some post-mortem feedback I received suggested that the ambitious target actually dissuaded people from making a pledge where they otherwise might have. It made the project seem unrealistic and impossible to achieve. With Undad, I set the target at just $3750, a third of the target for All The King’s Men. This much would allow me to produce one extra issue of Undad. I have implemented stretch goals to get the entire story told. But this staggered approach is unlikely to scare backers away the way it did for All The King’s Men, and allows the possibility of a partial success. The survey I conducted in late 2013 created quite a stir in artist circles. The matter of fair pay for professional work was a heated one, and I thought I could use that to generate interest in my Kickstarter campaign. But I was wrong. 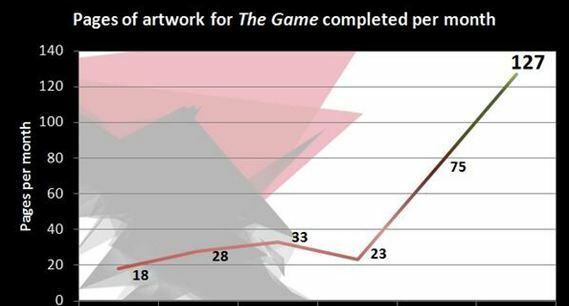 It turns out that, quite reasonably, backers expected me to pay more attention to what they wanted. They would have been happy to support a moral cause like ‘pay the artist’ if I had also attempted to understand what the backer wanted: reasonable rewards at a reasonable cost. I thought that by championing the fair pay banner, I’d get pledges and social media groundswell from other artists. 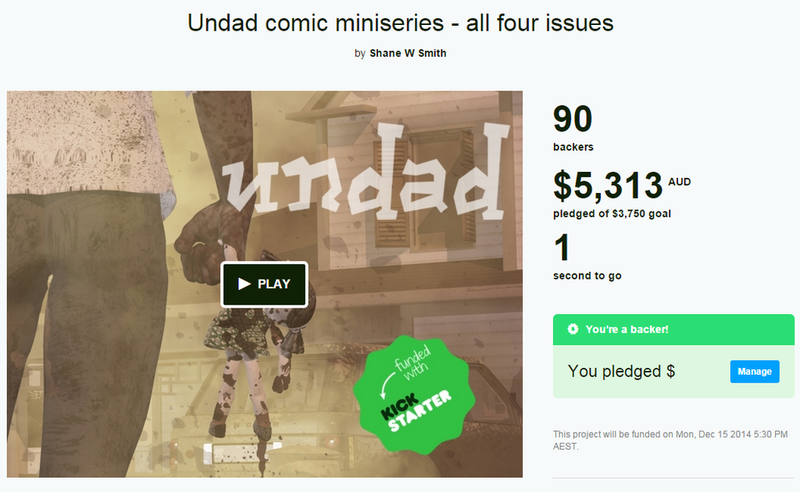 But what I should have done, and what I’m doing for Undad, is focusing entirely on the backers. How much value for money can I give them? How can I involve them in the process, and make them want to share the project with their networks? In the end, I implemented what I called a Transmission Scheme, a tiered reward system that allowed backers to achieve additional rewards by encouraging their friends and family to pledge to Undad as well. I will be implementing further measures as the time goes on, as well. 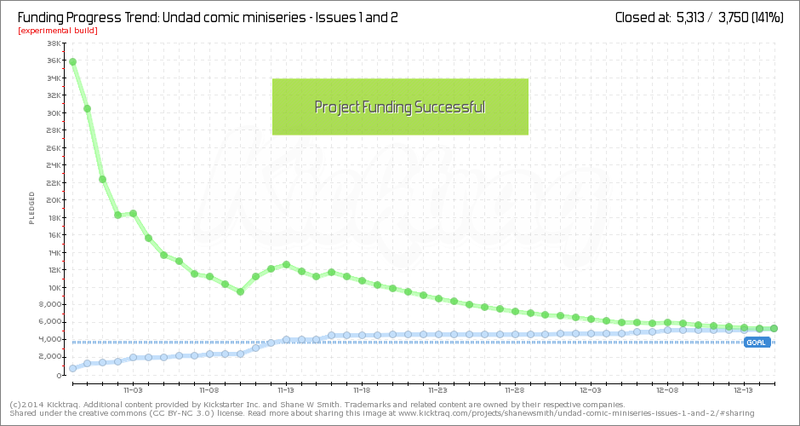 Since the failure of All The King’s Men, I’ve been watching a number of successful Kickstarter campaigns. How active the creators are, doing interviews, posting content and updates, engaging with fans. I did a little of all this for All The King’s Men, but not nearly enough. I ran out of steam at about the same time the pledges started to dry up, and sadly never regained the momentum. Messaging backers with a personalised thank you is very important, but it can’t be the extent of it. For Undad, I’ve planned a lengthy series of updates to the campaign. Sample images, blog posts, and other content to share with the Kickstarter community, even if there are no milestones in the project itself to celebrate. I’m not going to disappear from this project – I’ll be front and centre promoting and advocating for it for the whole 45 days. One of the best things I could have done for All The King’s Men would have been to time it to coincide with a convention I was exhibiting at. Being able to promote my campaign and distribute flyers/postcards to comics fans outside my social circle could well have been invaluable. It certainly would have ensured the project was seen by more people. But I didn’t consider the timing at all when I launched it. For Undad, I timed the launch to coincide with Halloween, as a little attention-seeking gimmick. And I ensured that I would be exhibiting at least once during the campaign’s duration. 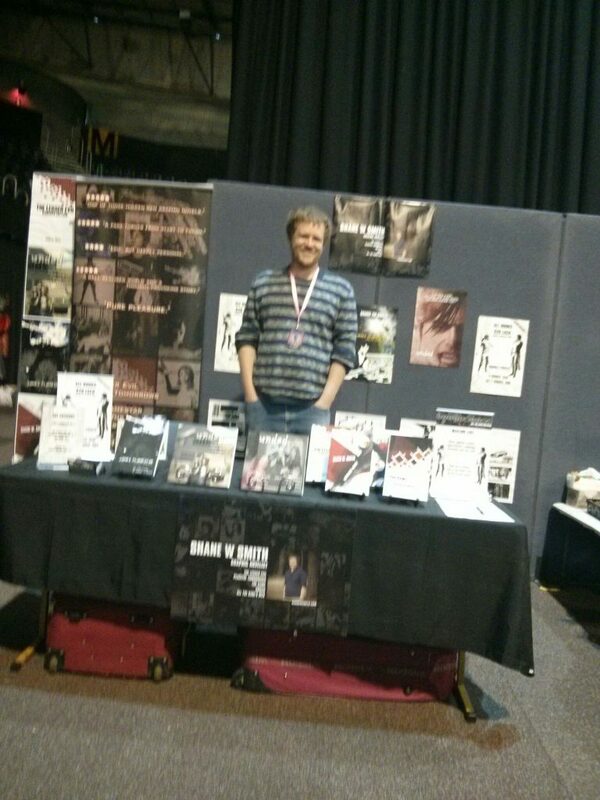 I will be handing out Undad information to punters at the 2014 OtakuFest here in Canberra. By doing this, I’ve taken some steps to ensure that I can personally get Undad out to some new eyes, even if my press releases and blog articles and interviews and guest posts don’t. In its first day, All The King’s Men raised over $800. Even though I knew that most of this came from friends and family, I let myself get overconfident. Over 7% funded in a single day? This thing will get funded in the remaining 29 days – piece of cake. So I eased off a little, took the pressure off, allowed myself to relax. This turned out to be a big mistake. Because I didn’t have a daily plan, this relaxation turned to inaction very quickly. That complacency cost me momentum that I should have utilised, and the project dwindled to a slow crawl after just a couple of days. With Undad, I’m much better prepared, and tempered by failure. I don’t intend to make the same mistake again. Every dollar between here and the funding target is a dollar that must be actively raised. If I sit back and wait for the money to roll in, this campaign – and any others I approach with the same attitude – is doomed to failure. This is the one that surprised me most. I wasn’t ready for the sheer amount of work that would be demanded of me to maintain the All The King’s Men project, the ridiculous amount of time it demanded. There’s almost no way to describe it – it’s exhausting in a way that I genuinely wasn’t expecting. I got overwhelmed almost immediately, and things started to slip. Catching up became a chore, and in the end, I just let it all slide away. It reached the point where even logging into Kickstarter seemed like too much work. Part of this was the crushing weight of imminent failure, but undoubtedly a big part of this malaise was that I simply hadn’t prepared to run this marathon. I’d expected a quick sprint, followed by a leisurely victory lap, and I hadn’t done the right kind of training. Even though Undad is a longer campaign, I’m prepared for it. I’ve got update and promotional content ready to go, and other content partially planned out. I’m prepared for a slow release of information, and a lengthy siege against my sanity. In short, I’ve trained for a marathon this time, and I’m ready. All of this boils down to just a couple of salient points: preparation and consideration. With All The King’s Men, I was underprepared and I didn’t offer backers the consideration they deserved. I’ve learned from these mistakes, and built a new campaign around rectifying them. Time will tell if it succeeds. Editor’s note: All The King’s Men was eventually produced with the help of a generous grant, relaunched on Kickstarter in 2016, and reached its funding target. Time for another April update. Re-reading this old blog post was, as with last year, a reminder of just how incredibly busy life is. Should any of these yield fruit, I’ll be announcing them separately here, on my Twitter feed, on my Facebook page, and from the rooftops. My kids continue to bewilder, inspire and infuriate me in equal measure. They are the volcanic eruption at the centre of my universe. At some point, the decision to add to the Corral of Chaos was taken, and a third little Walsh-Smith will be spewing molten crazy into our lives from mid-2014. Annie has turned four years old, and started her second year of preschool. She’s learning to read at a rate that is far more rapid than I could have anticipated, and takes a big bundle of books to bed every night. Eventually, she falls asleep surrounded by books. Even though she’s going to sleep a little later than I might like, there’s no way I’m ever going to discourage this behaviour (particularly since I did the exact same thing as a kid). Liam’s love of mischief has only deepened as he approaches his second birthday. He climbs, he jumps, he likes to smash eggs he finds in the fridge. He’s incredibly quick of wit, and has a high level of comprehension, but has developed a complicated combination of gestures and monosyllabic words that preclude the need to actually learn to speak in sentences. It’s a very creative alternative to actually doing the hard work. I’ll be keeping an eye on him. Katie has begun studying towards her education degree. She is also around seven months pregnant with our third child, which is due in the handful of days between Liam’s birthday and Katie’s birthday. We don’t know whether it’s a boy or girl, and will be keeping this secret until the day of birth. Me? I’m still working full-time. Still writing (more on that in a moment). In the last twelve months, The Lesser Evil was re-released as an omnibus, and its 600 page sequel was also published. I attended two conventions as an exhibitor, and met dozens of awesome people. I taught myself a variety of new artistic techniques which I will be applying to future work, ventured into self-publishing for the first time with mixed results, and ran a quick survey which helped me to understand issues of payment for commissioned works. My self-proclaimed #YearOfWriting lived up to its name, with over 500 pages of comics being produced, and a number of exciting projects launched. After the success of the 2013 #YearOfWriting, I decided to ramp things up a notch in 2014. The #YearOf1000Pages (as I dubbed it on my Twitter feed) kicked off on January 1st, and it is going very, very well. 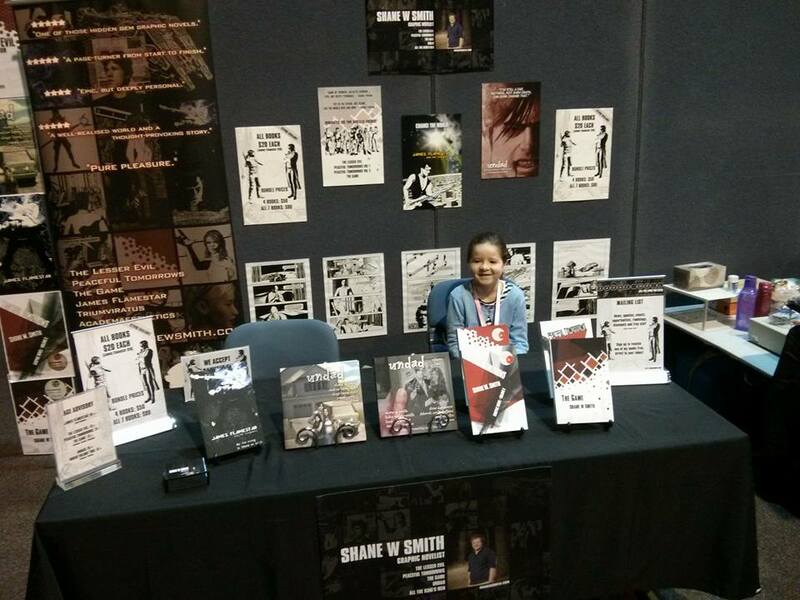 I hit up a couple of conventions in late 2013: Oz Comic-Con Melbourne, and Brisbane Supanova. Both events were a lot of fun, although my actual success at them varied wildly. I probably won’t be hitting up any more cons until late this year, given the impending arrival of the new baby. I hope to be doing Sydney Oz Comic-Con in September, though. I haven’t hocked my books to Sydney yet. The Lesser Evil was reissued as an omnibus, and published digitally for the first time, both in mid-2013. My publisher ran a short sale on the Kindle version, and I watched the book shoot up the sales charts. It was fun to pretend for a moment that the book was selling hundreds of copies, and that this was the beginning of a snowball. Of course, it wasn’t, but it was nice to pretend. 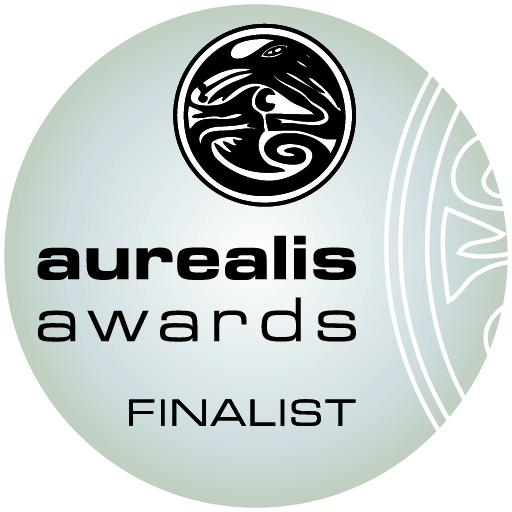 Amazing news: Peaceful Tomorrows Volume Two was nominated as a finalist in the “Best Graphic Novel/Illustrated Work” category of the 2013 Aurealis Awards. To say that I’m honoured, humbled and genuinely surprised by this turn of events would be understating the case significantly. Winning an award is on my writing bucket list… but I never thought I’d have the chance to do that so early in my career! The ceremony is here in Canberra this Saturday, so I’ll definitely be there. Have had to learn how to write an acceptance speech. Although it would be nice to win, I’d be equally happy not to have to give the speech. So I suspect I’ll be fine either way – a nomination like this is still a mighty big feather for the ol’ cap. 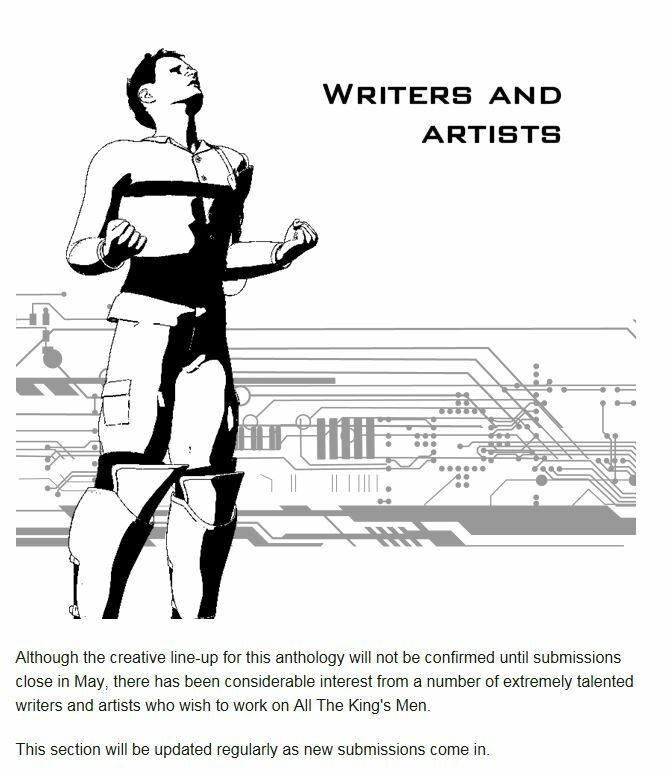 After conducting a survey into the issues of working for exposure in December 2013, I decided to launch a Kickstarter project that aims to produce a large anthology of work entitled All The King’s Men, and pay contributors fairly for their work. I’ll be sending out press releases and have squared everything with Zetabella, who have expressed interest in publishing the book when it’s done. I have already completed one of my contributions to the book, a shortish tale entitled The Long Road Home. Thinking about writing up something in prose as well. The campaign will go active on Monday 7th April. Time will tell how it goes. After the last April update, I had a massive surge of productivity that I can’t explain. Had an incredible few months, and finished off The Game very rapidly. Without wanting to over-hype this book, I think it’s my best one yet. I’m extremely pleased and very proud of how it turned out. I can’t wait to see it in print. A year late to the party, I finally released the James Flamestar comic for purchase. I’m quite proud of this companion piece to Tim Irving’s exemplary Stargazers album (currently only $3, an absolute steal), and am looking forward to being involved with its eventual sequel. The comic is currently only available on this website, and costs just $4. Work on Triumviratus has been slow and steady. I did decide, in the end, to make it a comic series, and so far, I have produced around five and a half issues. No takers yet for publication, but I haven’t really been trying very hard. Want to get this one right; could be my ticket to the next level of my career. The ACT Comic Meet is launching another anthology soon, this one around the theme of Exposure. It’s possible this was triggered by the survey I conducted in December, but I haven’t asked and don’t want to assume. I submitted a two-page comic for it. My first public reading did not take place in a cafe, a bookstore, or a library. It was not to a crowd comprised of fans and the literary elite. 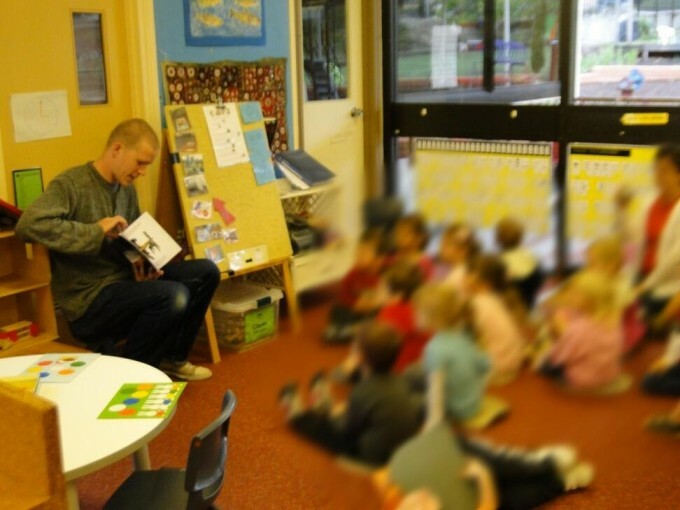 It was, in fact, to the harshest critics known to man: a gaggle of blurry three year olds, my daughter’s preschool class. I read them Not Just Annie’s Story, my first and unpublished venture into picture books. For two years now, there’s been no movement in this project. I still want to go back to it, revise the hell out of it, and bring it back to life. I think there’s a story in there worth telling. Just gotta clear some space on my plate for it. This one probably won’t be highest priority for some time yet. In the last twelve months, I’ve learned a bunch of new stuff. I’ve written my first award acceptance speech, my first press release, made my first pitch video, conducted my first survey, and started working in colour with my comics. It has been yet another massive year, that’s for sure. And things are only going to get busier from here. Success is one of those things that’s impossible to quantify. If you’d asked me when I was a kid what my definition of success was, it’d probably end up looking something like what I’ve got now: I’m in a stable, committed marriage, with two (soon three) awesome kids, a job that pays well, and an entrenched writing career that’s on the rise. If you’d asked me in high school what that “most likely to succeed” award meant in the eyes of my peers, I’d probably have dropped family from the equation and added in a whole bunch of money. If you asked me now, I’d say (at least with regards to my writing, which the remainder of this post will focus upon), “I’m not sure, but I don’t think I’m there yet.” That little miner I sent into my brain to dig out the deep answers must have asphyxiated long ago. With no concrete idea of what success meant to me, I began to look around at my peers. I’d see a movie deal here, an interview there, a positive review here, and this really ugly jealousy began to rear its head. Because I had no goals for myself, I began to covet what others had, and what others wanted. And that’s a sure-fire ticket to eternal dissatisfaction and misery. So I decided to sit down and put together a bucket list for my writing career. To confirm the experiences I wanted to have, to solidify the skills I wanted to develop, and to quantify the validation that I have sought my entire life. Beyond the passion I have for the act of writing itself, which seems to be eternal and infinite, this post focuses on what I’d like to do to see that writing turned into a career. What follows is what today’s list looks like. It’s hopelessly vain and (if Hollywood is to be believed) too focused upon material success to ever truly make me happy – and will probably change with each new season of my career. But its point is to stop crazy comparisons between myself and others, and keep me focused on what I want. It’s highly ambitious, but doesn’t shoot for the moon. This is today’s list. It doesn’t have to be the Nobel Prize for literature, but just having a panel of independent judges confirming that something I have written has managed to edge out its competition would definitely be a huge level-up in my seemingly eternal and interminable quest for validation. One of the special features in The Shield DVD set was a look into the writers’ room for the Season Three finale. I can’t explain quite what happened to me when I watched that feature, but it clicked: that’s where I want to be. Working in collaboration with major talent, and putting together greater stories than any of us could manage on our own. There are a few reasons this would be awesome. The first is the money. The second is the opportunity to see my work reimagined by someone else (and maybe even the chance to contribute and tick off item 2 in the process). I love working in comics. There’s a tremendous energy in a piece that has synergy between words and art, and I love trying to harness that energy to tell stories. I’ve had some success in the realm of comics, and probably have more coming in the future… but I grew up writing prose, and that’s where my soul remains. Almost every major comic project I’ve tackled began its life as a full-length novel – prose is how I do my thinking, and where I write my best stories. One day I’d like to get a prose piece published, and start a career as a novelist. Zetabella is a great, visionary publisher. I am incredibly proud to have been signed as one of their first creators, and thrilled to have the bulk of my work under their name. But they’re a very small publisher, so exposure is not great. I don’t have networking skills, and I don’t have the time to devote myself to full-time self-promotion. Getting signed to a big name publisher is how I’ll really get noticed. I have no idea if the experience will be a satisfying one (I suppose that depends upon individual publisher as much as anything else), but it’s a commercially sensible approach, at least to build my profile up. I write science fiction and fantasy. It’s what I’m known for. But I really want to branch out. I want my magnum opus, when it comes, to be much more strongly grounded in reality. In today’s world. I want to stop hiding behind allegory and metaphor when telling stories, and just come right out and say something important. In some ways, I feel like my entire writing career is an apprenticeship for this one future book, sort of like Steinbeck with East of Eden. But seriously, at some point, I want to be able to step back a little from this self-marketing gig. It’s tiring and a little dispiriting. Once I have enough profile to be able to generate constant sales (even if those sales wouldn’t even buy me a packet of two-minute noodles per day), I’ll be able to focus more on writing, and just let the momentum sort itself out. One book per day would be okay to start with. It’s not salary-replacement, but it’s momentum. And once you’ve got momentum, there’s always a chance of a snowball. Or even an avalanche. Until then, you’re just rolling puffs of flaky snow by hand. I’m reminded of some advice I read some years back: the book you could write today will not be the book you write tomorrow. It’s so true. I’ve been looking back at some of my major works, and have realised just how deeply personal they are to me. In ways that no reader could possibly ever identify, these books are about me, about my life, about the stuff rattling around in my head that mere thought can never quite purge. These books are my demons, the monkeys on my back. Each one reflects one facet of my growth into the man I am today. This article should not be read as a guide to the books, because (I believe) they will contain different meanings for every reader. This article chronicles what they mean to me at the moment, and how the writing reflects the various stages of my life. If you want to know what was plaguing my mind at any given point in my life, I suspect you could open up one of the books I wrote in that period and figure out the broad strokes of it quite easily. I started writing The Lesser Evil when I was thirteen. I’d been writing since before I can remember, and I had big dreams for my writing. It was the only thing I wanted for my life. It’s an obvious and direct parallel to Ross’ dream, and the recognition that chasing that dream means turning his back on his family’s plans for him. The story of The Lesser Evil is fittingly simple, but the themes are clear: to me, it’s a story about dreams. The difficulties, the defeats, and the sacrifices… even if they come true. I was eighteen when I finished the first draft of Peaceful Tomorrows. Adulthood is not something that clicks on like a light switch, and I was just starting to recognise that fact. In my zeal to find some responsibility to latch onto, I made some mistakes, and starting taking on obligations I couldn’t fulfil, and accountability for things that couldn’t possibly be my fault. Allowed to make my own life decisions for the first time, and blinded to reality by the choices of the past, I flubbed up in a couple of major ways (though thankfully these self-destructed before they could do any real harm) before finding the path that was right for me. To me, Peaceful Tomorrows is a book about the transition into adulthood and adult responsibilities. When I first wrote The Game, I was in the final year of my creative writing degree. I had no lucrative publishing contracts to keep me afloat; the crushing inevitability of a job I’d always feared hung over my head like a dark cloud, low and fierce. It makes sense that I would turn to a prequel. A book where the ending is a foregone conclusion, and the characters are on a path that they cannot escape. When I read it, I realise that it’s no coincidence that one of the main characters is a child in a cage. To me, The Game is a book about being trapped. This story was written in collaboration to a mostly-predetermined story, so its links to my own life are not as clear-cut as my other books. However, James Flamestar and the Stargazers clearly channels and reflects the passion I’d learned in recent years to feel for my chosen vocation, the commitment I have to creativity, and the fear I have that an all-consuming passion might well end up destroying everything else I hold dear. If/when you read my work, you may not pick up on any of this (indeed, I might be inserting new meaning into my work where none previously existed – that is the prerogative of the reader, after all). My entire life is allegorised in those pages, my soul laid bare on the page for your consumption.